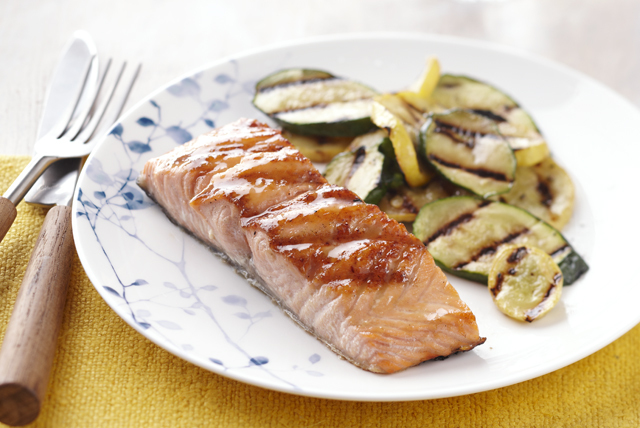 Maple syrup and Dijon mustard make a sweet and savory glaze for this supremely simple two-step grilled salmon recipe. Brush fish with oil; grill 4 min. on each side or until fish flakes easily with fork, brushing frequently with mustard mixture. Add several dashes of ground red pepper (cayenne) to mustard mixture before brushing onto fish.